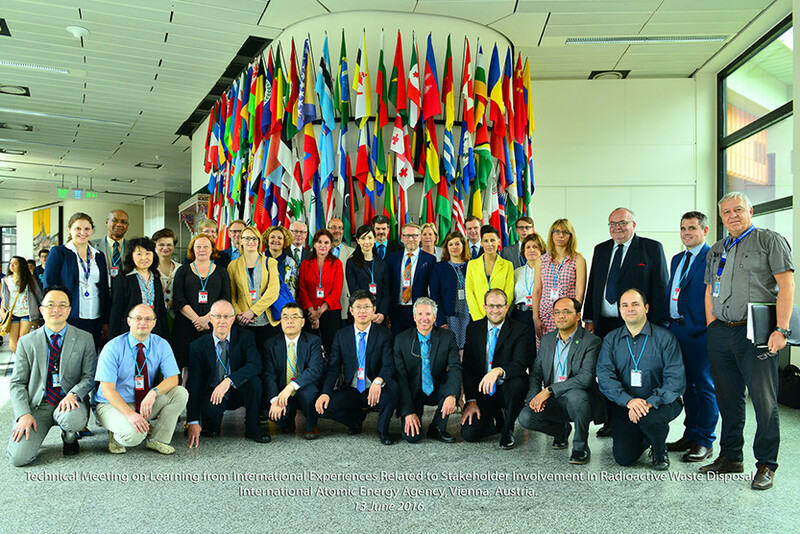 Meritxell Martell is participating at the technical meeting held at the International Atomic Energy Agency (IAEA) in Vienna from 13 – 17 June 2016 on learning from international experiences related to stakeholder involvement in radioactive waste disposal. The purpose of the meeting is to exchange lessons learned from both progress made and difficulties encountered in communication and stakeholder involvement throughout the life cycle of a radioactive waste repository programme at different stages. Around 32 experts coming from Australia, Belgium, Canada, China, Czech Republic, Finland, France, Iran, Italy, Japan, Lithuania, Poland, Romania, Russia, Slovakia, Slovenia, South Africa, Switzerland, United Kingdom and United States are discussing the key elements, challenges and approaches followed in their countries to implement stakeholder engagement during repository development. The purpose of the meeting is to review the current draft document Communication and Stakeholder Involvement in Radioactive Waste Disposal intended for publication as a new IAEA Nuclear Energy Series report.